Basil is usually chopped (to enhance the flavor) and put in tomato sauce, pesto, salads, oils, and many more. My favorite is a simple salad made from mozzarella, basil, tomatoes, extra virgin olive oil, and balsamic vinegar. Basil has a strong taste and can overpower foods with delicate flavors. 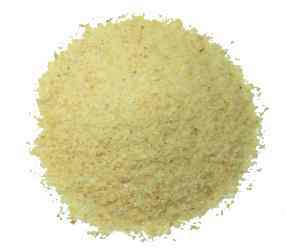 But it is extremely versatile and can be used in a huge variety of dishes. Paprika is a kind of dried sweet red pepper and usually has a mild taste. The most common uses for it are as a garnish for eggs, chicken, fish, rice, and other savory dishes. I often use it to brown chicken and oven roasted dishes. 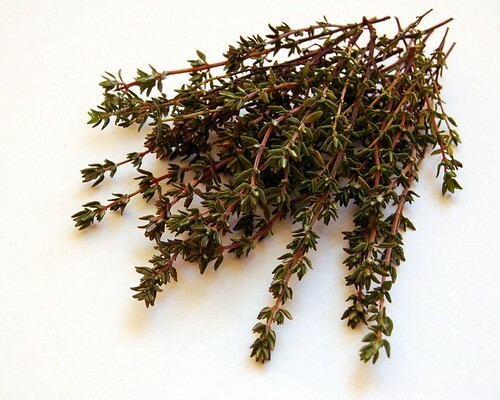 Thyme is often dried then chopped for later use. It has a slight minty flavor and is commonly used in sauces, soup, lamb, pork, roasts, or anything that mint compliments (which is a lot). Unless you're adverse to the taste of mint, you can't go wrong using thyme. It almost feels like cheating putting garlic powder on this list. Simply put, I put garlic powder in every single dish. I love garlic, so I put it in every western dish I make. Usually it's better to put fresh garlic, but garlic powder is a decent alternative. Like basil, rosemary is very strong and will overpower other flavors in a dish. It has a pine-like flavor and should be crushed before using (to enhance the flavor). Put it on lamb, pork, or chicken. Melting butter with rosemary is a simple delicious sauce for potatoes and vegetables. Excellent list! I almost have everything in my garden except thyme! The weather here does not permit such!